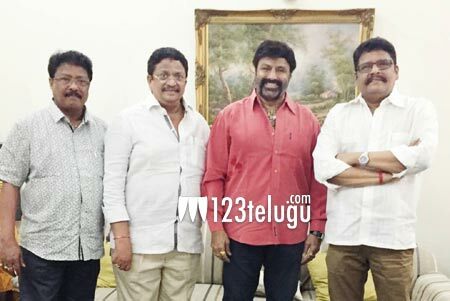 Interesting title in consideration for Balayya’s next? Nandamuri Balakrishna’s most eagerly awaited 101st movie in Puri Jagannadh’s direction has wrapped up nearly 40 percent of its shoot so far. Recently, Balayya announced his next movie in senior Tamil director KS Ravikumar’s direction. According to the latest buzz, the makers of Balayya-KS Ravikumar’s movie are considering ‘Reddy Garu’ as the film’s title. Apparently, the film will have an​ intense political backdrop. C Kalyan will produce the movie. The regular shooting will kick-start in June after Balayya wraps up Puri’s film.